If you enjoyed my write up on Tegmark’s Level II multiverse, you might enjoy this guest post that he makes on Sean Carroll’s blog, which includes a link to the chapter on inflation from his book, including those visual aids I referenced! What does the theory of inflation really predict? What physics does it assume? Doesn’t creation of the matter around us from almost nothing violate energy conservation? How could an infinite space get created in a finite time? How is this linked to the BICEP2 signal? What remarkable prize did Alan Guth win in 2005? 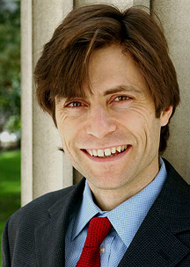 via Guest Post: Max Tegmark on Cosmic Inflation | Sean Carroll. This entry was posted in Zeitgeist and tagged Alan Guth, Albert Einstein, Andrei Linde, BICEP2, Big Bang, Cosmology, Inflation (cosmology), Max Tegmark, Science, Sean Carroll, Space. Bookmark the permalink.